The home front directed factory production, agricultural output, and local community energies to the war effort in World War I. President Woodrow Wilson stated that ‘it is not only an army we must shape and train, but also a nation.’ National sentiment leaned mostly to isolation, but by 1917, the U.S. became increasingly involved overseas, culminating in its war declaration in April 1917. Local, regional energies and dozens of civilian and government committees were formed to contribute to the war effort. Communities saw it as a point of patriotic pride by ingratiating themselves with home front activities. Alongside the Council on National Defense, women's groups were pivotal in orchestrating home front activities. The Women’s Land Army of America placed thousands of volunteers on farms and ranches to compensate for the loss of labor. 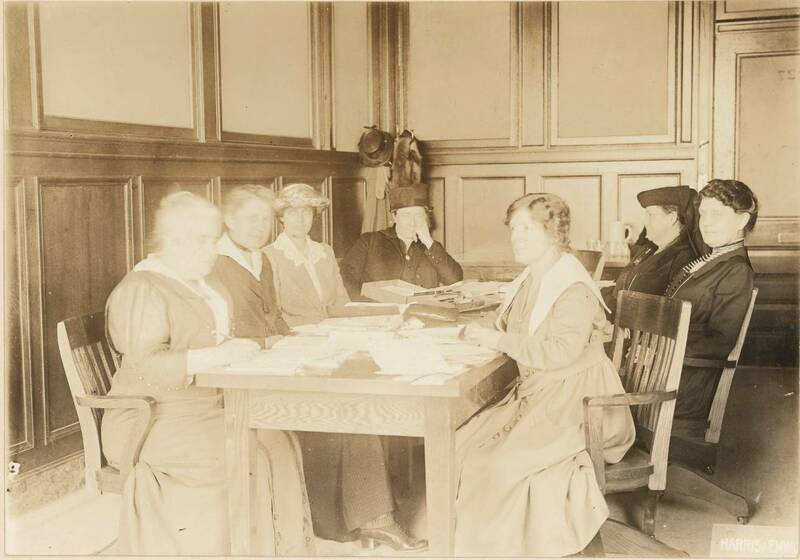 Thousands volunteered for the Red Cross and the Women's Committee, whose primary goal was registering member’s skills and directing food donations. The Woman's Committee worked in conjunction with the US Food Administration and its director, future US President Herbert Hoover. Woman's Committee chapters operated locally, orchestrating food drives and agricultural practices in their community. Local food production was essential and securing enough for the armed services meant coming up with creative solutions at home that would not put additional pressure on the economy. One focus of the Woman's Committee was to educate children and participating in school activities. These primarily included teaching children how to start a local garden, run food drives, and taught them how to can food. Each of these taught children and their families how they could save and preserve their food supply. This allowed people to conserve and stretch their groceries further, which in turn a meant less food consumption. 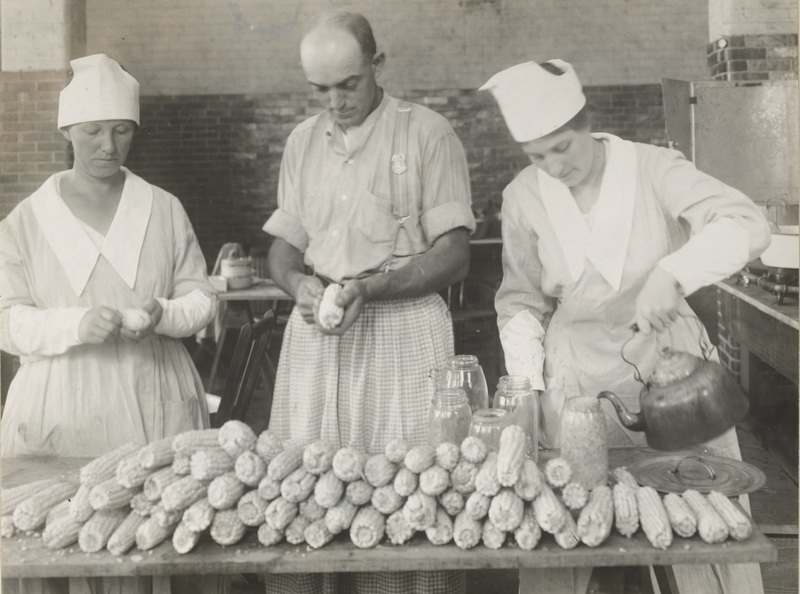 The Anti-Waste Campaign by the Food Administration collaborated with numerous local organizations to streamline the available food supply that was donated for the war effort and cut down on unnecessary food waste. 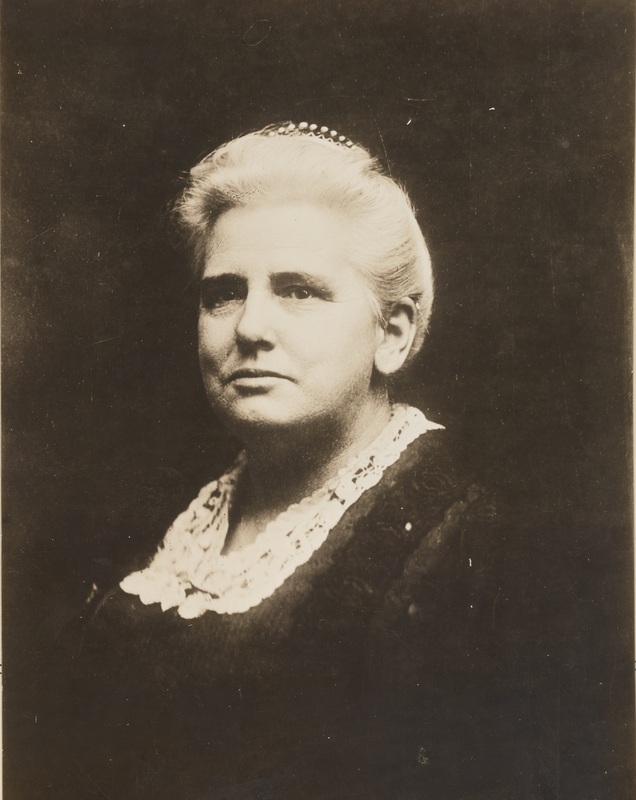 Former NAWSA President Dr. Anna Howard Shaw was appointed Chairman of the Woman's Committee and her connections with women's suffrage groups proved critical in coordinating home front logistics and having a ready supply of volunteers. Dr. Shaw’s efforts awarded her the Distinguished Service Medal, the first woman to receive the award. These interactions were not without some disagreements and compromises though. During the war, women's suffrage activism was largely suspended in order to support the war effort; suffrage organizations who participated in home front work received widespread acclaim during the war that later played a critical role in passage of the 19th Amendment. Womens organizations in World War I played a crucial role on the home front and integrated the war effort into every community and home. Their grassroots organization and volunteer efforts were all a pivotal component of the United States' home front effort to secure victory for Allied forces in the Great War. Noticed anything new about the Microfilm Research Room lately? This spring, we took care of some housekeeping, checked (and re-checked) our open access holdings, and gave the room a total overhaul! So head on up to the fourth floor of our College Park facility (A2) and check it out! Following up on multiple researcher comments and requests, we’ve moved around the Microfilm readers to allow researchers to have more desk space while using them, and shifted the finding aid shelves to make them more convenient to use (again – more desk space!). We’ve also got new, adjustable chairs to go along with the new, higher desks . We’ve also fully re-numbered and re-labeled the Microfilm cabinets. This ties in with the newly updated Microfilm locator. The physical locations of microfilm series within the room have, for the most part, not changed, but to be on the safe side you should still double-check the locator. 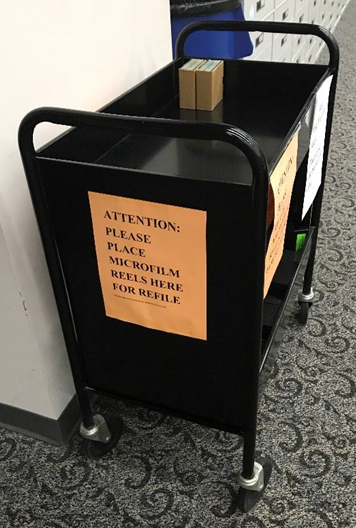 We ask that researchers refrain from refiling their own microfilm reels, but instead place them on the black cart provided. Staff will refile microfilm reels to ensure they are returned to their correct locations. Another new change to Microfilm has to do with the fact that we are entering the summer busy season here at NARA. The increase in researchers is particularly noticeable in the Microfilm Research Room, as we only have 14 Microfilm readers (2 for scanning to USB, 5 for printing, and an additional 7 for viewing/taking notes/photographs). In an effort to ensure that all researchers may have access to the types of readers they need to use, we ask that upon entering the Microfilm Research Room, researchers sign up for a reader time slot based on their particular microfilm reader needs (i.e. if you plan to only use a digital camera, please sign up for a viewer-only machine, not a scanning or printing machine). 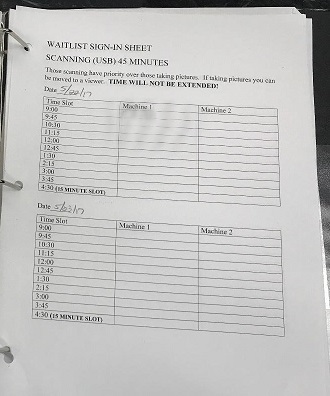 These time slots are for 45 minutes, and you may only sign up for one slot at a time. As it gets close to the end of a time slot, you may check to see if the next slot is empty and if it is, sign up for the next slot. However, if someone has signed up after you, you will need to move to another reader (if available) or wait until the next open slot. You may not sign up for multiple slots at one time. This is the same policy we have with our two USB-scanning microfilm readers year-round. Again, this is to ensure that everyone has an opportunity to view their documents and reproduce them as necessary, particularly for those researchers who may only be visiting us for a short while. If you’re a regular visitor to the History Hub, you’ll notice frequent suggestions to contact a particular reference office at the National Archives. As you can imagine, since the vast majority of the National Archives’ holdings are not available online, reference archivists are your gateway to the holdings of the National Archives, and reference requests are the keys. By the end of this post, the reference request process should be thoroughly demystified so that you can request with confidence! 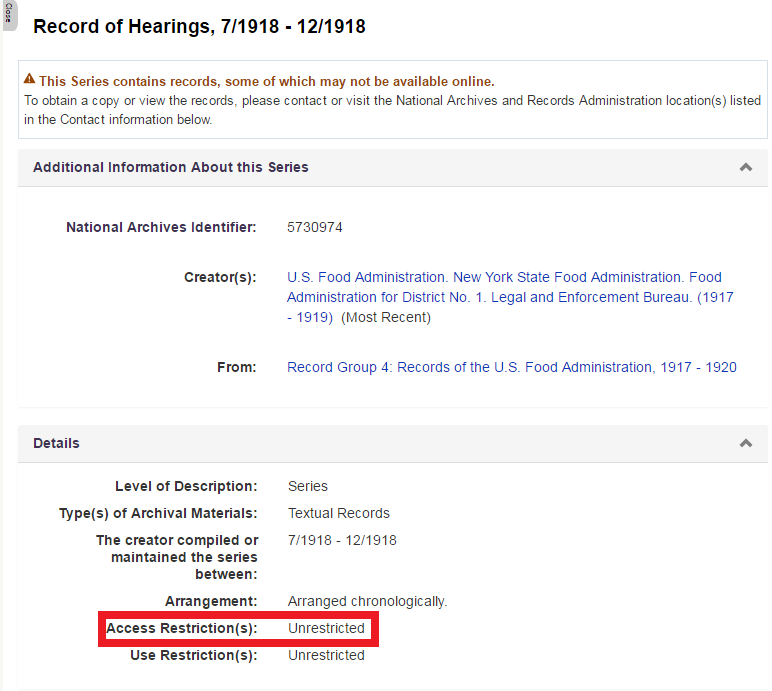 The most important thing any researcher can do is to start the request process by doing their due diligence- search the National Archives Catalog or check to see if books or articles on your topic cite National Archives sources. Is there a NARA blog post or Prologue article that talks about your subject? We’ve also provided some additional links at the bottom of this page that may be useful in starting your research. NARA resources will include contact information for the specific reference office responsible for the records in question. And of course, the History Hub is a great place to ask for help if you’re lost or overwhelmed! As you’re doing research, an essential question to consider is “How does my topic relate to the records of the U.S. government? What federal entity would have been involved or interested?” For example: the National Archives generally does not hold vital records because they are usually created and held by local authorities. However, the National Archives may have records of the combat death of a soldier, or marriage records included in an immigration application. The difference is that these documents were created or collected as part of a function of the US federal government. This can be a helpful guide to narrow down specific agencies or record groups to search for your topic. Once you’ve done your research, checked the catalog, and determined what kinds of records you’re interested in, it’s time to write your request. Your reference request should be clear, concise, and specific about what information you are seeking. (See below for examples of specific information that may be required to locate records. Include the agencies involved in your request.) Provide as much information as you know; federal organizations all maintain their records differently, so multiple types of information may be necessary to find records. Keep in mind that archivists only have a limited amount of time to search for records and respond to requests, so tailor your request to give them the information they need. 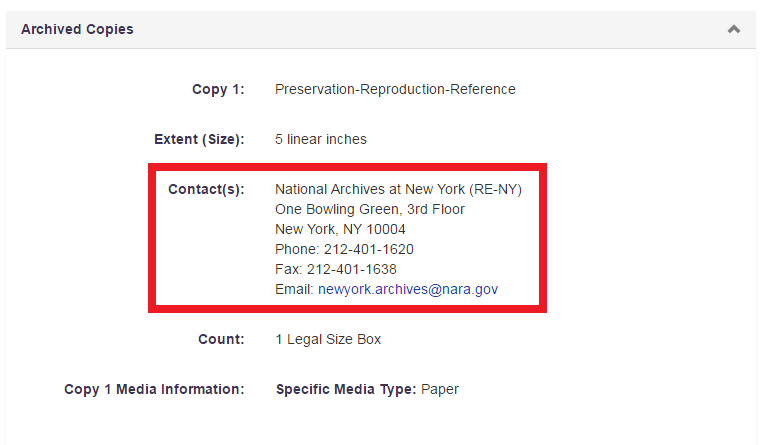 If you think the records are located in a specific record group or entry, be sure to include that in your request, as well as the National Archival Identifier (NAID) from any catalog entries that you think are relevant. Why you need the information (e.g., for a VA claim) can be useful information for the archivist as well. It’s also extremely helpful to include resources and institutions you’ve already consulted. Once your request is submitted, expect it to take at least a few weeks to a month for archivists to research your request and send you a response. You may get a reply that the archivist was unable to find records that are responsive to your request, or that your topic would require extensive research, which needs to be done in person (either by you or someone researching on your behalf). But, hopefully, the response will be that records were found that relate to your request! If that is the case, your response will include a price quote for reproduction fees (for more information, check out NARA’s reproduction fee schedule) and instructions for ordering copies of the records. These are the basics of the reference request process- for a more in-depth guide to doing research using the records of the National Archives, check out this Getting Started Overview. The National Archives also has several more specialized guides to doing research and requesting records on Archives.gov. I cringe every time I hear a story about a researcher spending money to travel to a National Archives facility only to find out the records they seek aren’t at that location, are unavailable for research, or that the reference staff are unable to assist the research in the short travel window they have available. This is a very frustrating scenario but it is easily avoidable by following two easy steps: searching the National Archives Catalog and then contacting us. Below I detail these steps you should take before arriving at one of our facilities to conduct research. Go to the National Archives Catalog and search what you’re looking for. If you’re having trouble finding relevant results, try narrowing your search with the refine options on the left side of the screen or by conducting an advanced search. If you have any questions about how to use the Catalog, please contact the National Archives Catalog staff. Once you’ve found records that interest you and you decide you have to come to a National Archives facility to view them, first confirm their availability by checking their Access Restriction(s) under “Details.” If “Unrestricted,” you should be able to view the records without issue. If “Restricted - Possibly,” “Restricted - Partly,” or “Restricted - Fully” then you may be unable to view them. If you are interested in coming to view those records, bookmark the URL or note the National Archives Identifier (NAID) of the records. This will come in handy in the next step when you contact us. Regardless of the Access Restriction(s) please contact the reference unit listed in the Catalog description under “Archives Copies.” It is very important that you contact us three or more weeks before any planned visit to give the reference staff enough time to do appropriate investigation and preparation. Some records are even stored offsite and require transfer to the research facility. If you don’t give them this time, they may be unable to help you when you arrive. Reference staff will be able to inform you of the availability of the records and possibly prepare them for your visit if available for research. Give them either the URL you bookmarked or the NAID you recorded. Please note, not all facilities will prepare records in advance of your visit. Even if you don’t find anything of interest, contact us. If you know which facility you need to contact, contact them directly (list of locations with contact information here). If you are unsure of which facility might hold records relevant to your interest, use the general contact us form. It’s possible the records you seek haven’t been described yet, or weren’t described in a way that corresponded to the keywords you entered in your search. A reference archivist will be able to help you further. Also, be sure to check our FAQs for answers to some of our most commonly asked questions.